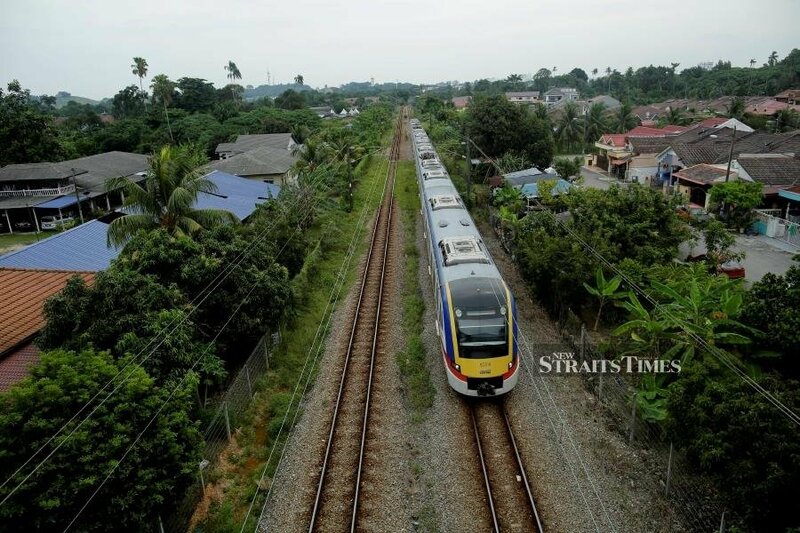 KUALA LUMPUR: Two men were struck by a train as they tried to cross KTM Komuter’s railway tracks at Km 371.7 of the Sungai Buloh-Kepong route here, on Sunday evening. The duo, believed to Myanmar nationals in their 30s, was killed at the scene in the 6.03pm accident, Bernama reported. It is learnt that the men, who had trespassed onto the tracks, were trying to take a shortcut to a nearby area. The train, carrying about 30 passengers, was en route from Kepong to KTM’s Sungai Buloh station when the incident occurred. No one on the train was injured. “The driver immediately stopped the train when he realised that his vehicle had hit something…. (he later) saw the victims thrown onto the side to the tracks,” Keretapi Tanah Melayu Berhad (KTMB) said in a statement, last night. It said that the accident was immediately reported to the police, who arrived on the scene shortly after. “Passengers on the stopped train were transferred to another train to continue their journey,” KTMB added. The two men’s remains were sent to the Selayang Hospital for post-mortems.